Here’s a tip for post-Thanksgiving fishing: Escape the Black Friday shopping syndrome by escaping to some wide-open water. In the desert regions, anglers can hit the Salt River, or one of the Salt River chain lakes. We’ve been stocking rainbow trout into these waters. See a Central region report — there’s some great bass fishing to be had at Bartlett and Roosevelt lakes. This full moon will make navigation, and “lesser” tasks like tying knots, a little easier. If night fishing in the shallows, try dropping dark-colored plastics that can stand out as a silhouette in moonlit waters. Winter conditions are setting in in the White Mountains region. Higher elevation lakes (8,000-plus feet) should have skim ice during mornings. Big Lake is iced-over during the mornings, but there can be fishable water around midday. Remember that we consider all ice unsafe. The Big Lake Store is closed. The Woods Canyon Lake Store also is closed and is scheduled to reopen between April 1 and 15 of next year. There will be access to the lake until snow causes the Forest Service to close the forest roads for the winter. Silver Creek is a spring creek that comes out of the ground at a constant temperature and does not freeze in the winter. Catch-and-release fishing for big rainbow trout with artificial lure and flies, with single barbless hooks, will continue through the winter. Don’t forget the Colorado River waters in the Yuma region when planning a winter fishing excursion. Fishing should be good at Alamo Lake, Lake Havasu, the Colorado River (Parker Strip, Imperial Divisions and associated backwaters), Mittry Lake. and the Yuma ponds (Fortuna, Council Ave., West Wetlands, Redondo, PAAC Pond). See the Catch of the Week below from Havasu. At desert impoundments like those mentioned above, water temperatures fall from the upper lower 60s in December to the 50s later in the winter. As with bass fishing at any desert impoundment during the winter, due to the low water temps, a key will be fishing slowly. 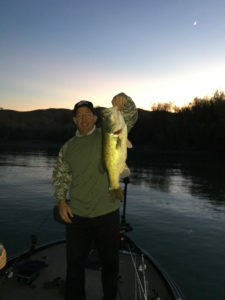 Mike C. with this reported 7.27-pound largemouth bass taken the night of Saturday, Nov. 10 from Lake Havasu. Rainbow trout: Alvord Lake, Green Valley Lakes, Community “expansion” waters, Roper Lake, Oak Creek, Lynx Lake, Saguaro Lake. See the stocking schedules. Saturday, Dec. 1, 8 a.m.-noon. Dads: Bring Your Daughter Fishing Day! at Sahuarita Lake 15466 S. Rancho Sahuarita Blvd., Sahuarita. Arizona fishing opportunities wouldn’t be possible without the Sport Fish Restoration Program. It was created through the Dingell-Johnson Act of 1950 (Federal Aid in Sport Fish Restoration Act) and the Wallop-Breaux amendments of 1984. 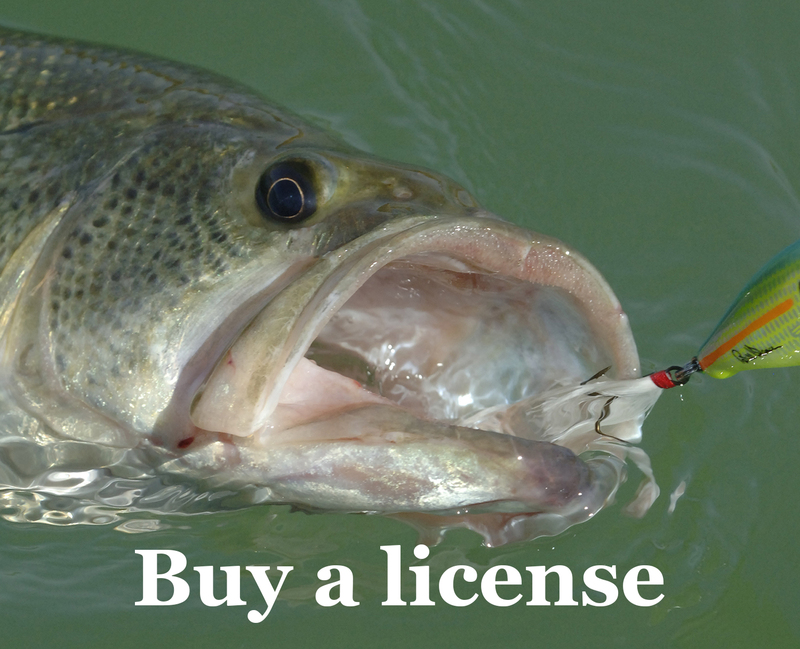 Through a federal excise tax paid by manufacturers on fishing gear and motorboat fuels, it provides grant funds for fishery conservation, boating access, and aquatic education. Next story Where’s the bass in Community waters?